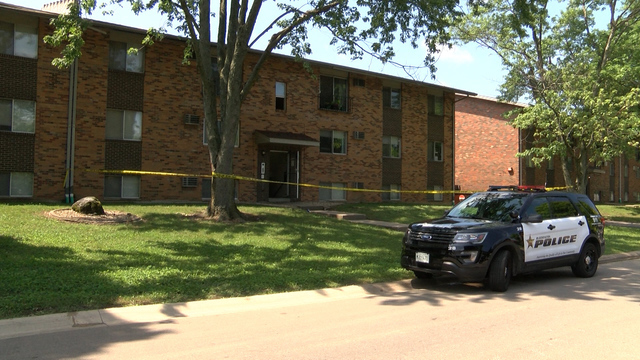 BLOOMINGTON, Ill. - A Bloomington neighborhood is still in shock after 4 people were shot Monday afternoon. "It is concerning," said neighbor, Jessica Mitasky. "It's not the first time something like this has happened. But it makes me want to move." Police responded to shots fired on Riley Drive. The 3 adults were pronounced dead at the scene. But a 4-year-old was taken to the hospital with a gunshot wound, then life-flighted to Peoria in critical condition. "It's frightening because you have collateral damage," said Bloomington resident, David Shaffer. "I mean there was a 4-year-old here." David Shaffer said he used to live just a mile down the road, and that it used to be a quiet neighborhood. "It's very concerning, said Shaffer. "I always thought of Bloomington as being a very nice place to live. It's changing." Neighbors agree that something needs to be done, but they aren't sure what. Mitasky said it's scary to think more incidents like this could keep happening. "I mean, it's a residential neighborhood, and it's alarming that so much has been going on recently," said Mitasky. "It's not just here but in Bloomington in general." Police ask that anyone with information, please come forward.